Hello my friends! With St. Patty’s Day behind us I now I am really looking forward to Easter. 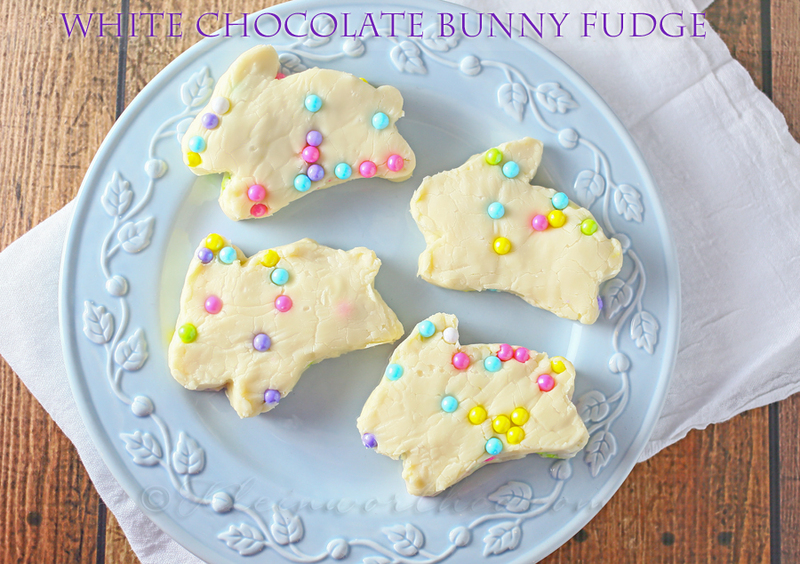 Last year I shared this Bunny Fudge recipe over at Or So She Says but I never had the chance to share it with you all here before the holiday came & went. It’s amazing how quickly the content train rushes on through the holidays. I’m already thinking of Memorial Day in the back of my head. 🙂 Yep – I did just say that. Maybe it’s because the summers here are absolutely GLORIOUS & I always look forward grilling season. Easter is a great way to kick off those fabulous months with happy colors, fresh & light recipes & new life all around. I love the ease of this recipe – just 4 simple ingredients & this fudge is done! White chocolate fudge is still a novelty for me. My mom was the fudge queen but it wasn’t until these last couple years that I was able to perfect her recipes. Rarely did she ever make white chocolate fudge. I always grew up with the idea that fudge was a Christmas time sort of recipe. Then I entered the blogging world & realized that fudge is a year round thing that should truly be embraced. I’m all for fudge year round! Why not?! Prepare an 8x8 pan by lining with parchment & giving a light spritz with cooking spray or coconut oil in an oil mister. Place white chocolate chips, sweetened condensed milk & vanilla in a double boiler & heat over medium- stir constantly. Continue to heat & stir until all chocolate chips have melted & mixture is smooth. Remove from heat - stir in 1/2 of your candy pearls. 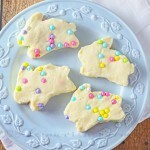 Remove by pulling out by parchment - use cookie cutters in desired shapes to cut. 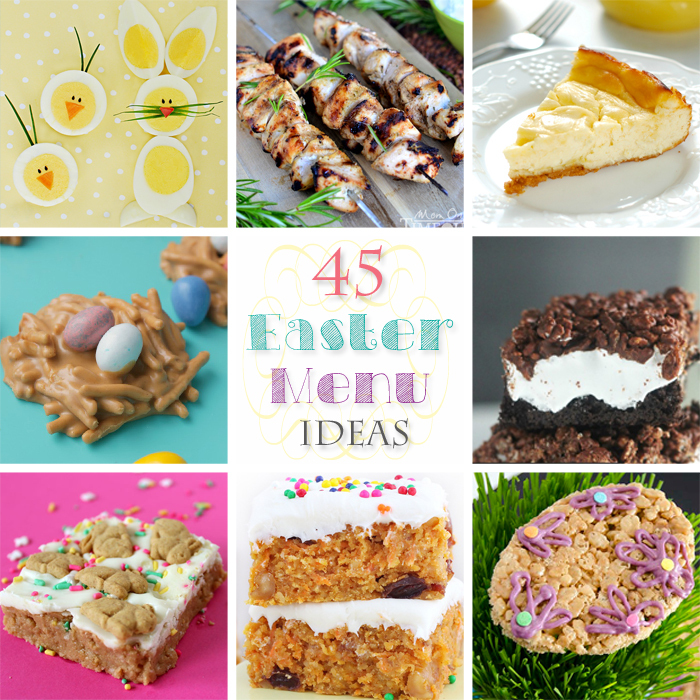 Want more great Easter recipes? 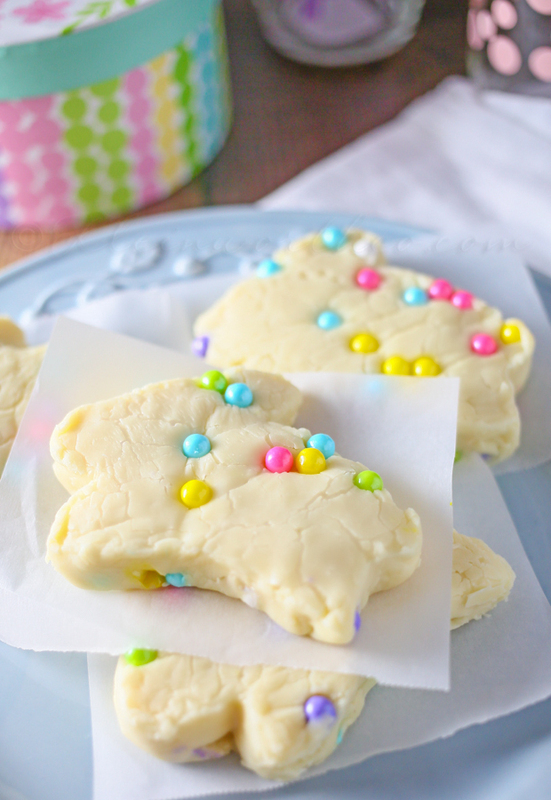 This bunny fudge is super cute, Gina! I love the pops of color from the pearl candies! This looks so yummy, pinned it! These are so cute! What a fun Easter treat. 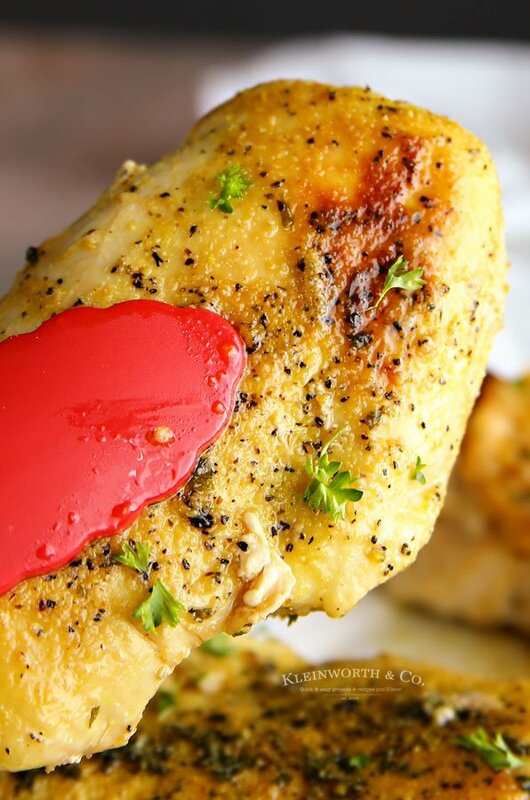 Thank you for linking up your recipe at This Is How We Roll Thursday. Thanks for joining the Link Up this week and please don’t forget to enter to win a $5 Starbucks Giftcard! Super cute and delicious all at the same time. Can’t go wrong with this! Oh my! How adorable! Visiting from the Tasty Tuesday link up. So cute! And you make it look so easy! Stopping by from Merry Monday and pinning to Pinterest! 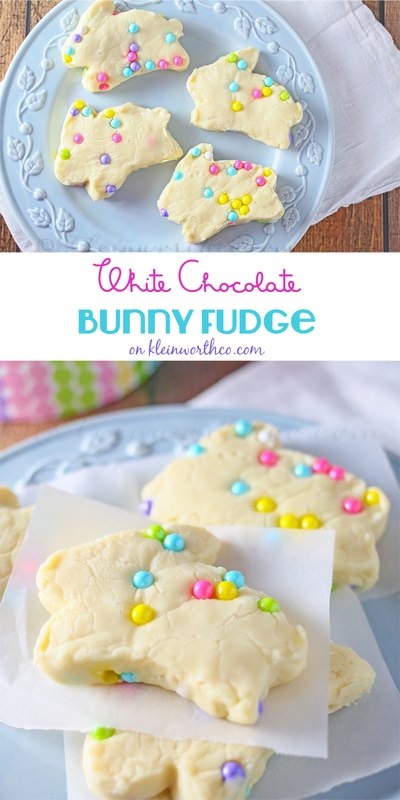 I love the cute bunny fudge! Pinning! LOVE it! 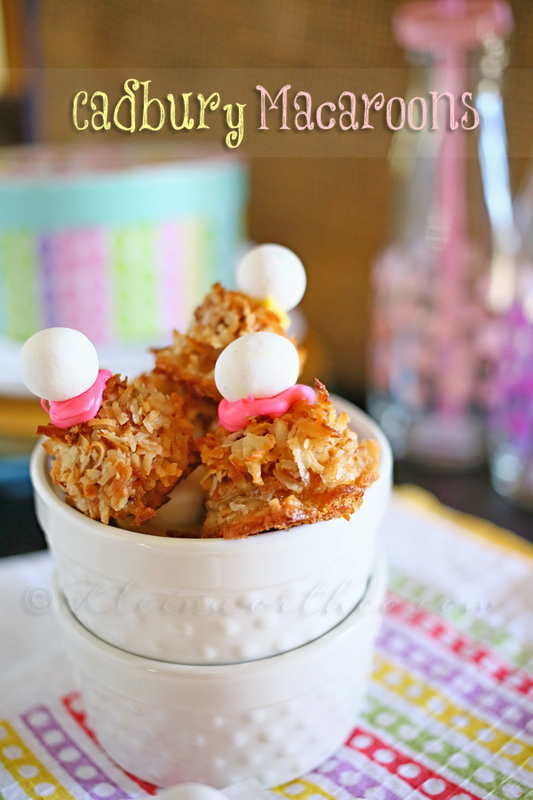 Thank you for linking up at Family Fun Friday, by happyandblessedhome.com. 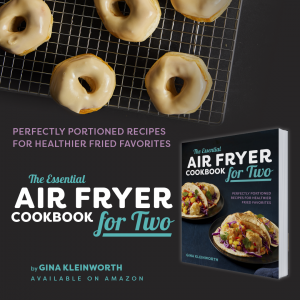 Your recipe will be one of six featured posts on food! It will be shared across five different blogs. You can stop by brittalafont.com (the food hostess) after 2pm MST on Thursday March 26 to grab your “I was featured” button and to link up for next week! Thanks again…already pinned it! Oh my goodness Gina these are adorable… Featuring you this Friday! Looks adorable and delicious!! 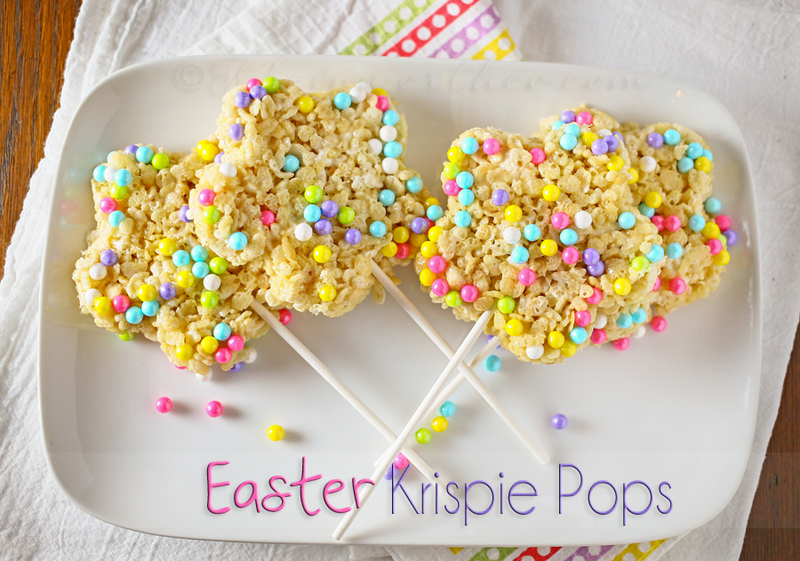 Such a fun Easter treat! Thank you for sharing with us at Delicious Dish Tuesday! Super cute! And so simple 🙂 That’s my Easter presents sorted, thanks! Your Bunny Fudge is the greatest, I love you pastel colors! Thanks so much for sharing with Full Plate Thursday and have a very special weekend!